books, bookishness, and life in general. This morning, I discovered through a friend’s Facebook feed that BBC Radio 4 is producing a radio play version of Neil Gaiman’s Neverwhere. I just about jumped out of my seat with excitement: James McAvoy, Benedict Cumberbatch, and Sir Christopher Lee? In point of fact, I tried to come up with something coherent and clever, and bearing at least a partial resemblance to something an adult would say about this, but after listening to the preview, all I can do is giggle excitedly. 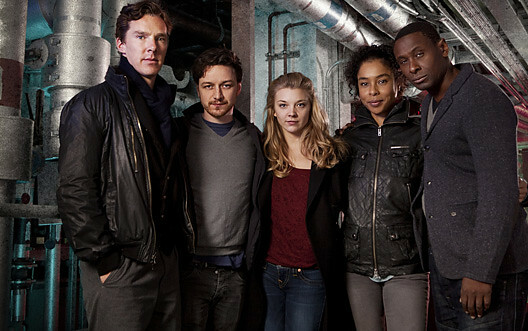 BBC Radio 4’s production of Neverwhere starts airing in the UK on March 16, and I understand it will be available internationally online and as a podcast. I’m super excited — I think it’s going to be great! Who’s with me? This entry was posted in Books, Reviews, and Reading and tagged books, Neil Gaiman, Neverwhere, radio plays on March 7, 2013 by ms.grammarian. Enter your email address to follow this blog! New posts will land in your inbox! Dramatic baseball is an oxymoron.